You Might Have Played Many Endless Runner Games Like Subway Surfer, Temple Run Etc. But Have You Ever Played An Endless Balance Game? If Not, Then You Should Play Equilibre: Endless Balance. This Is A New Game For Android, Currently In Beta/Early Access Mode Of Google Play Store. It Is A Nice Time Killer, Offline Game Also. This Game Is Similar To That Flash Balance Game In Which You Balance A Drunk Man So That He Did Not Fall Down. However, Character And Theme Are Different In This Game. In Euilibre, You Have To Help The Little Donkey To Pull His Cart While Balancing A Stack Of Sacks. You Can Control Or Balance The Stack Of Sacks By Taping Left Or Right And Simply Tilt Left Or Right Your Phone To Balance. Keep The Stack Of Sacks In Balance, The Longer You Keep The More You Score. This Game Supports AndroidTV!, Gamepad Supported. If You Just Near Your High Score And Your Stack Of Sacks Fell Down, Then You Can Use Life To Start Further From That Point. Get More Life By Watching Videos. It Is A Great Offline, Timekiller Game That You Should Play. Size Is Just 13.50 MB. Controls Works Fine. Price – Free(Contains Ads). 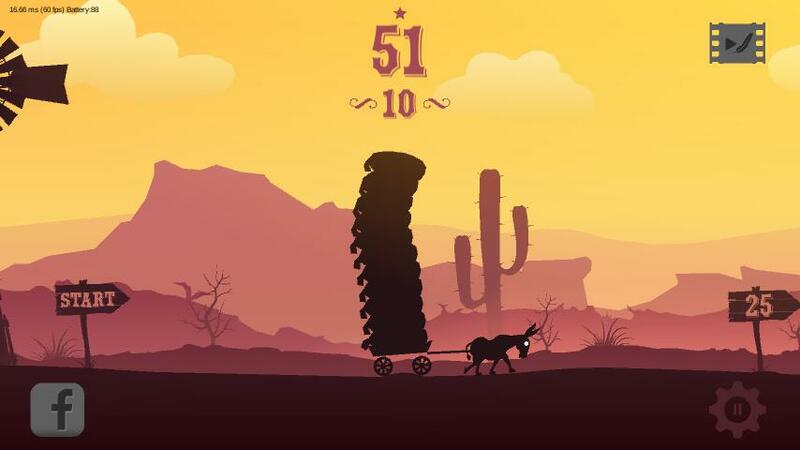 Download Equilibre: Endless Balance Game For Android: Here(Google Play Store). If You Have Any Game Suggestions, Then Please Submit Here. Like Us On Facebook – MrGuider, Follow Us On Twitter – @techhuntr To Get Latest Game Updates, Subscribe Us To Get Gaming News Directly To Your Inbox.